This is my first sight of Ikaria. 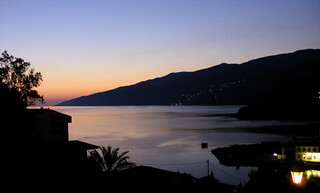 I arrived on the ferry @ about 5am, and scrambled up the hill in Evdilos to see the sunrise properly. I'm definetly coming back next summer! I saw el's latest photo, and it reminded me of this one, so I had to respond.